Kripter StringSetter PV mounting system for sloping roofs | Atmosfera™. Альтернативные источники энергии. Солнце. Ветер. Вода. Земля. 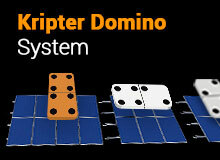 Kripter StringSetter PV mounting system — is the universal solution to arrange the photovoltaic strings on sloping roofs. This is not just the hardware for attachment of modules on the roof but the system for marking and assembling of the solid solar field that fills in the inverter string. The system is compatible with any PV modules for 60 and 72 cells and with any roofing materials (except ceramic tile). How to work with Kripter StringSetter? 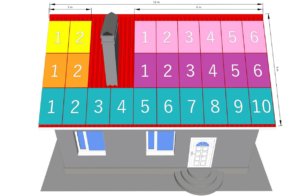 While designing the solar field using Kripter StringSetter it is necessary to divide all PV modules, included into string, into rows that can be “put” on the slope of the roof taking into consideration its size, configuration and obstacles, such as chimney and dormers. The row may include from 1 to 15 PV panels. StringSetter system will come to the site namely with rows, separately packed into packages. It is enough just to lift these packages to the roof, to put at the place of deployment and assemble according to the manual. In total we need: 1 row × 10 modules + 2 rows × 2 modules + 2 rows × 6 modules. The packages with lines already include all necessary elements, pre-assembled for maximum ease and quickness. There is no need to count the necessary amount of bolts, screws, profiles, connectors and clasps on the roof!